Well, here we are again! Another month has passed us by and summer is basically half way through. Sorry, to burst that bubble summer lovers but honestly I for one cannot wait for Fall. I’ve never been ashamed of my Basic White Girl tendencies and it’s just been so humid lately that I’m dying for some fresh, crisp air. Maybe this year we’ll get lucky and actually get a true Fall, not that second and third summer we had in 2017. Anywho… enough about me day dreaming of my favourite season! We’re all here for the same reason! To read about July’s Small Business Saturday series! Many of these maker’s were suggestions from some of my very best shop friends so, without prolonging it any longer, let’s dive in shall we!? I just recently met the owner of The Prickly Pear and after a little Instagram stalking, I’ve decided I basically need everything this shop makes in my life! A self-proclaimed hippie by birth, Becca creates amazing and unique all-natural bath and body alternatives for all your self-care needs! By using raw ingredients and 100% therapeutic grade essential oils, these body products are completely natural and you don’t have to worry about any nasty additives that some commercial body care shops use! Another thing I love about The Prickly Pear is that they’re constantly researching, testing, and expanding their knowledge. 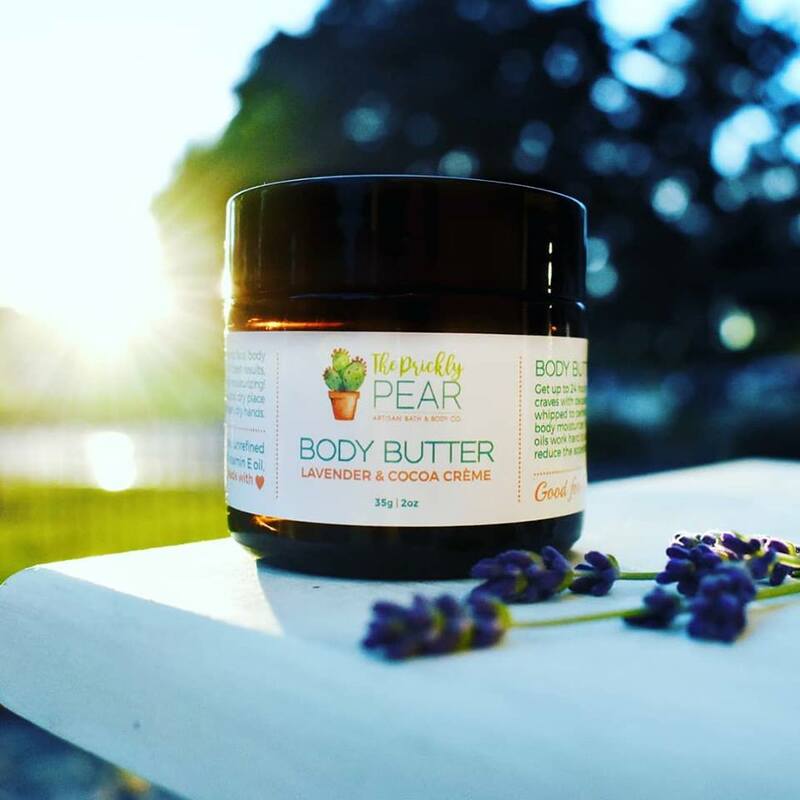 Just recently I read Becca’s post about how they were able to make their body butters even more fabulous by using a new form of organic and unrefined shea butter which allows the body butter to have a faster absorption rate as well as a matte finish. I love when I hear just how passionate small businesses owners are about what they’re creating. Sure, The Prickly Pear’s body butter was wonderful before but the fact that they’re always trying to step up their game goes to show just how much time and effort go into creating items for us customers to enjoy! Becca’s Instagram feed is also just as gorgeous as the items she’s creating. You can find The Prickly Pear on Facebook as well as Instagram! Ever since I can remember, I’ve always been fascinated with pottery. How people can create such gorgeous pieces of artwork by hand has always amazed me and Heartfelt Handmade by Lindsay has some of the most amazing creations you’ll find! This shop was recommended by several of my close shop friends and it’s easy to see why! The clay pottery that Lindsay creates takes me straight back to my childhood looking at some of the items my aunt had created. I can even smell how Earthy the clay smells just by starring at her pictures! 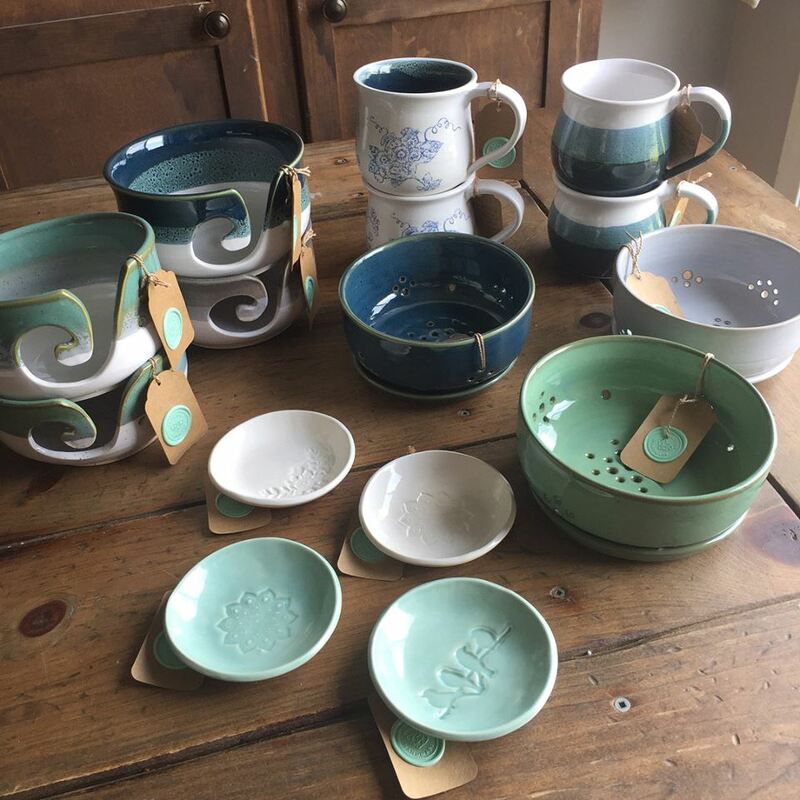 From adorable mugs, to yarn holders, to stunning plates; Heartfelt Handmade by Lindsay creates it all! In business since 2006, it’s amazing to see how big this shop has become! Lindsay has several storefronts in which she sells her items out of and she’s also a must have at some of the biggest vendor shows in the Durham area! You can find Heartfelt Handmade by Lindsay on Instagram as well as Facebook! My girl Michelle from Cupcakes & Studmuffins recommended Dream Day Party Events & Co for this month’s edition and I actually cannot believe I haven’t included them before!! 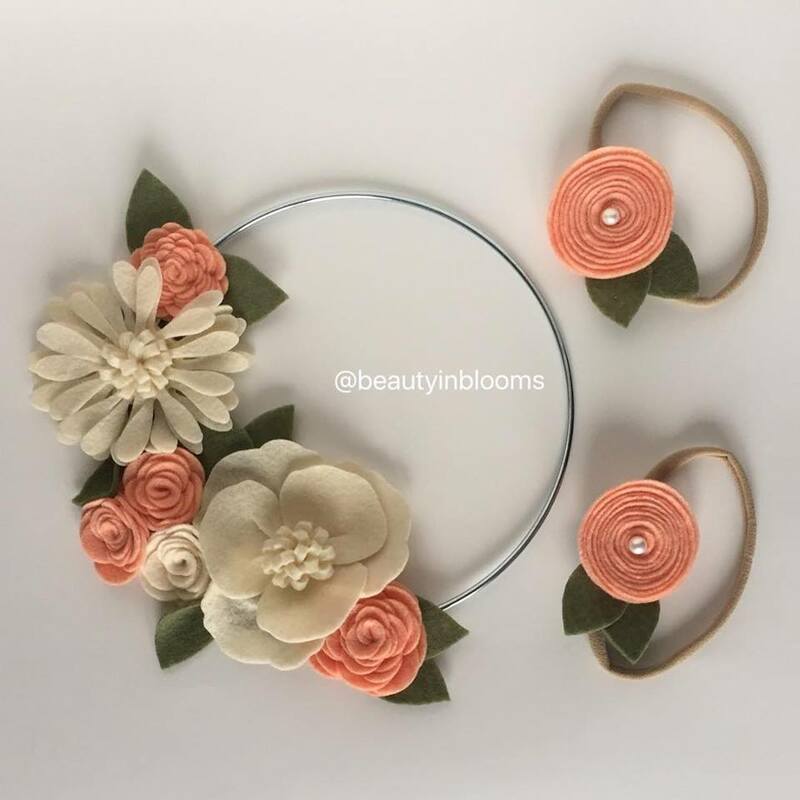 Honestly, they were one of the first shops I began following when I created my teething accessory business and I remember thinking how I didn’t even know it was remotely possible to create cookies that looked as stunning as these do! I mean, the detail that Sarah puts into her work is unreal! The fact that these cookies look more like paintings goes to show just how talented this shop owner is! I mean, look at that mason jar flower COOKIE!! That. Is. Unreal!!! I can barely ice a sugar cookie and yet here is Dream Day just casually making these like it’s the easiest thing in the world! 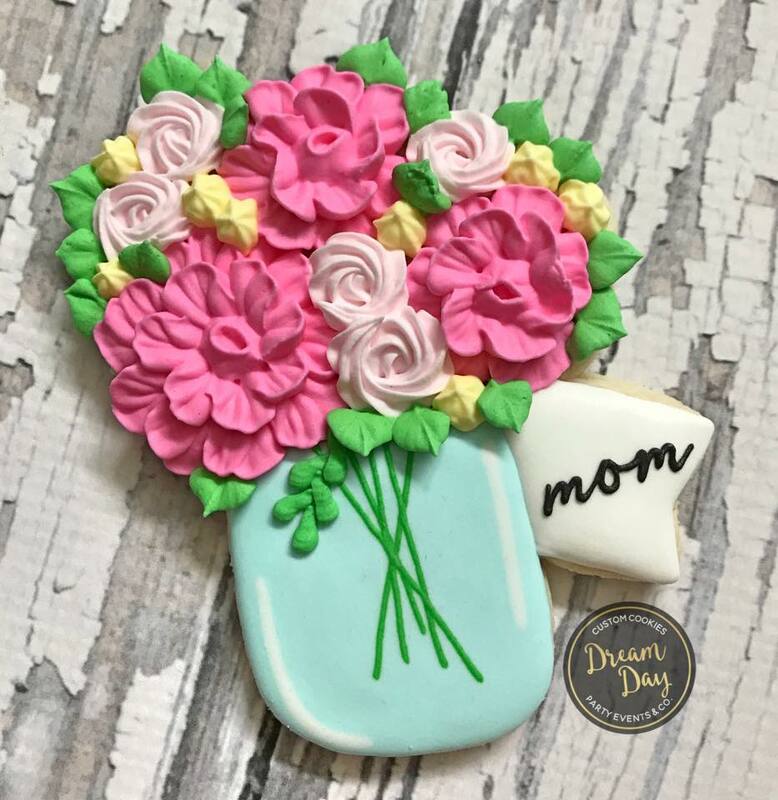 Sarah can create just about any sugar cookie that you’re looking for too! From adorable teacher’s gifts, to hilarious dad-joke cookies, to whatever character, tv show, movie, or theme your kid is into, she’s got you covered! I cannot even begin to imagine the time, energy, and patience it must take to create these works of art! You guys NEED to check out Dream Day Party Events & Co on Instagram or Facebook! Like, NOW!! The Wonder Love Shop was suggested to me by another shop friend Erin from Neon Chickadee and I’m so glad that she did. To put it in Erin’s own words “she’s a freakin’ gem” haha Ellie has been rocking her shop for about six years now (her Facebook page says founded in 2012 so I figure that’s a safe estimate lol) and she creates beautiful malas, bracelets, as well as boho inspired teething necklaces. If you’re like me, you might now know exactly what malas are. So, here’s my Google definition for you all “Malas, strands of 108 beads plus a “guru” bead are traditionally used for meditation and prayer, and are the newest trend in wearable yoga, with designers making mala necklaces that combine gemstones imbued with potent energies and sacred meaning to infuse your practice” I didn’t understand much of that definition but what I do know is that they are gorgeous! I’ve always had a love of gemstones and crystals so although I don’t practice yoga, I still think I would love to wear one of these necklaces. And like I mentioned before, the Wonder Love Shop also creates mala inspired teething necklaces so you can still rock this look but they’re safe for baby to chew on and play with! You can find Ellie and her Wonder Love Shop on Instagram as well as Facebook! I’m so excited for this shop to open that I just had to include them in this month’s edition. There was a mutual consensuses in my engagement group that Becca of Violet Ivy Handmade’s new businesses needed to be on here! If you haven’t heard of Violet Ivy, then you’re living under a rock or obviously not a Durham Region local! Becca’s business creates the BEST floral crowns, headbands, mobiles, and hair bows that I’ve ever seen! Seriously. Each piece is crafted by hand and made to order. There’s no short cuts with Violet Ivy and you can tell just by looking at her work. But that’s not all Becca has been up to lately! Her and her hubby are in the process of opening up a new storefront in Oshawa that will have a wonderful collection of other artisan vendors as well as Becca’s gorgeous creations. I actually cannot wait until the shop is open for business! I got a little sneak peek a few days ago and let me tell you, this place is going to be spectacular! Although Made Co isn’t officially open, you definitely should register on their website that way when it does open its physical doors, you’ll be the first to know! 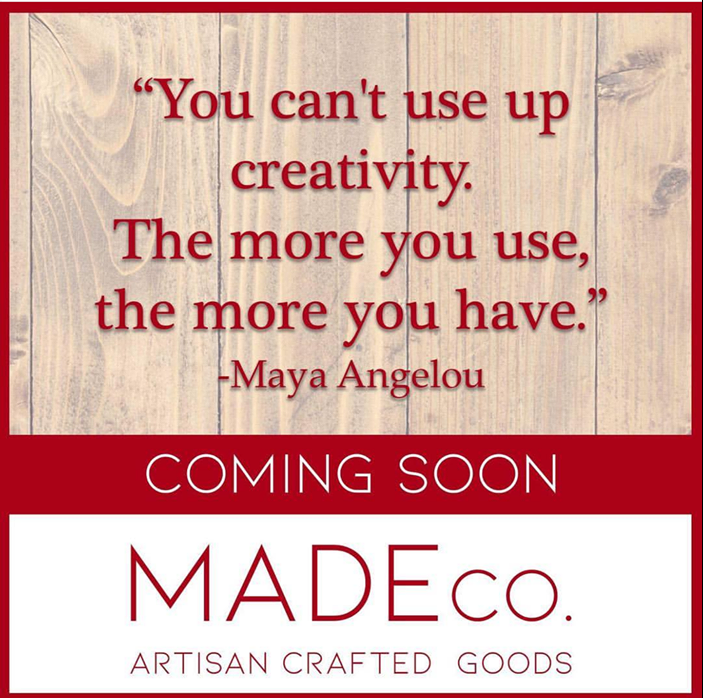 Keep updated with Becca and her Made Co by following along on their Instagram account or by clicking here! Oh my engagement group was definitely not letting me down when they suggested The Squirrelly Scroller for July’s edition! As soon as I read ‘cat mom’ in their bio it was a no brainer for me haha! But seriously, this shop is absolutely amazing! 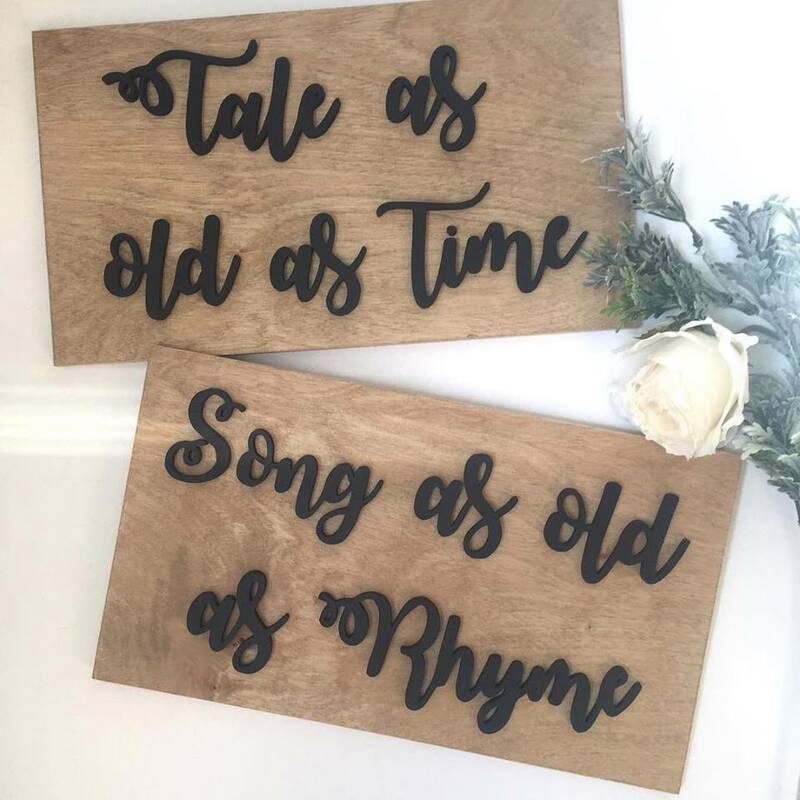 The Squirrelly Scroller creates hand cut wood signs and decor for your home! Each piece is hand crafted and made specifically with your requests in mind. Whether you’re looking for a cute farmhouse chic piece to hang in your kitchen or you want something cute and trendy for your little one’s bedroom, The Squirrelly Scroller has got you covered! I’ve seriously spent the past 20ish minutes just scrolling through all their pictures and swooning over all the options available! There’s just so many pretty things to look at! I love them all! Especially that wedding sign pictured above! You can check out The Squirrelly Scroller on Facebook and Instagram! Erin from Neon Chickadee was just FULL of amazing suggestions for this month’s shop features because Wild Luminescence was also her suggestion! This shop hand-makes and hand pours all the beeswax candles and products that they offer! Starting in 2017, this shop has had huge success with the amazing products that they create. Sheilah is the owner of this booming business; after ten years working retail in Toronto she decided to open up her own shop that was not only natural for customers but also eco-friendly and thus Wild Luminescence was born! 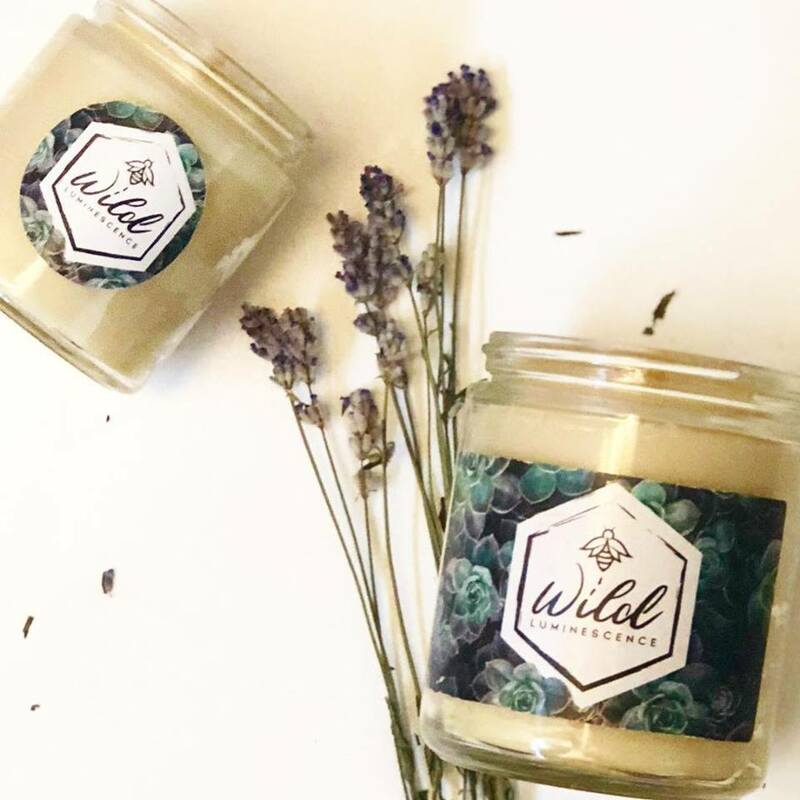 By using recycled jars for the candles and minimal plastic in the packaging, this urban hippie is really helping to show just how important it is for maker’s to also consider the environment in their own shops too! Wild Luminescence has an ever-growing list of handmade products including candles, tealight candles, pillars, wax melts, lip balms, puppy paw balms, and lotion bars! Not only do the products sound amazing but they are phenomenal to look at! I mean check out this picture here!! You can always tell how much a maker loves their work but the quality of design and Sheilah’s designs are some of the best I’ve seen to date! Wild Luminescence can be found on Facebook and Instagram as well as their website! There’s so many fabulous makers in this community that sometimes I think I’ve already featured them when in reality I haven’t! And I actually cannot believe I haven’t features Biscuits to Baskets before now!! I mean, look at those goodies pictured above! How have I not featured them sooner!? Thankfully, Michelle from Cupcakes & Studmuffins was as equally as helpful as Erin and she was the one who suggested this shop! 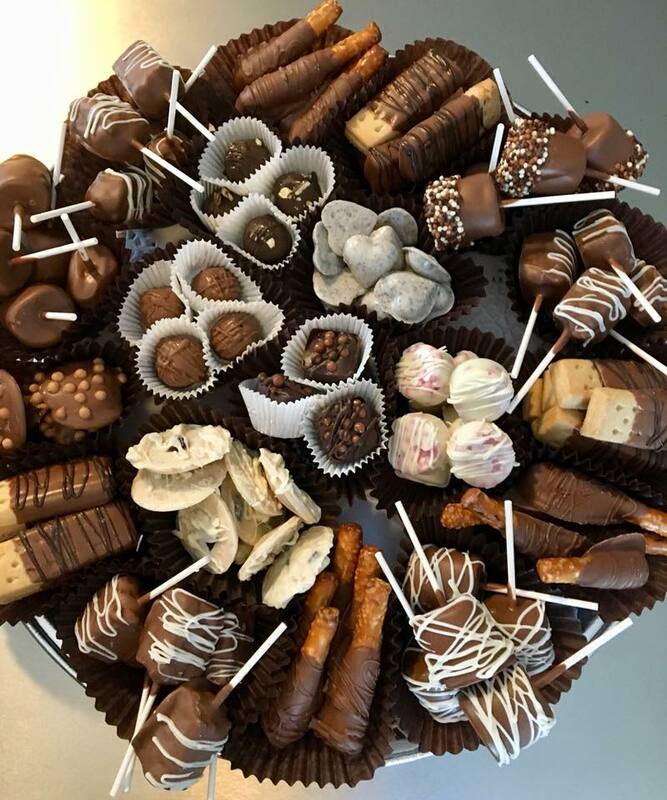 Based out of Durham Region, Biscuits to Baskets creates scrumptious treats for all your gifting needs! Having been in business since 2003, this shop is probably one of the longest running homemade businesses in this area! From custom designs to baby shower goodies to holiday features and even house warming gifts, Biscuits to Baskets does it all! Suzanne has been in the gift wrapping business since 1997 so you just know the items you’re getting are going to be beautifully crafted and curated to suit your exact needs. There’s chocolate covered strawberries, Oreo cookies, pretzels, and marshmallows to name a few plus the tastiest looking chocolate bark treats that I’ve ever seen! My mouth literally waters every time Suzanne posts a new picture! Even now, while scrolling through her feed looking for a picture to post, my stomach is growling! You can learn more about this yummy shop on their website, Facebook, and Instagram account! I love when I start following a business without knowing who owns it just because I think it’s super cute and then discover it’s actual someone I kinda, sorta know! That’s exactly what happened when I began noticing Beauty in Blooms and the super cute floral handbands and hair ties they were creating. At first, I just thought it was an adorable shop I’d like to follow but then a few weeks later realized it’s actually a friend of a friend of mine! How funny is that!? Kristen is the maker behind this fun little business and not only does she create adorable floral hair pieces, but she also uses her creativity to make home decor pieces as well! If you’re looking for an adorable whimsy piece to add into your child’s nursery or bedroom, Beauty in Blooms has got you covered! By using the same felt flowers, Kristen can make beautiful three dimensional artwork to hang anywhere in your house. I love the unicorn pieces she creates because I mean, who doesn’t LOVE unicorns right now as well as her gorgeous dream catchers! Seriously, there’s so much “prettyness” as my son Nathan likes to say, in this shop! I’m obsessed!! You can find Beauty in Blooms on Instagram as well as Facebook! I just want to thank all my amazing shop friends who recommended other businesses for this month’s post! There’s so much love in our maker’s community and it makes me so happy to see the support everyone give one another! If you have any suggestions of who I should feature, leave a comment below! I’d love to hear who you’re loving lately!! Previous Post Eli at 12 Months Old!! !